. Stop what you're doing, log in now and post your ticker in the [X]PendaPalooza community. You know how it works - the sooner you post your ticker, the sooner other players start buying your stock. At work? Don't worry. [X]PendaPalooza runs from now through Tuesday, September 27 at 8 pm ET. Just get your ticker up, check the shop for the big early bird flash sale (including fresh pie) and then plan to swing back when you have more time to play. New to [X]PendaPalooza? Missed the last one? WHAT: FIVE full days of gift and invest missions run by players for players. This was the first user-created event on the Empire, and it remains the biggest and most [X]traordinary networking event. It's organized by the [X]Bar community. WHY: Seasoned players are banding together to help YOU sell shares, buy shares, and accumulate wealth. Join to grow, to give, or to catch up with old friends and connect with new players. Your fellow players are eager to help you succeed on Empire.Kred and across social media. 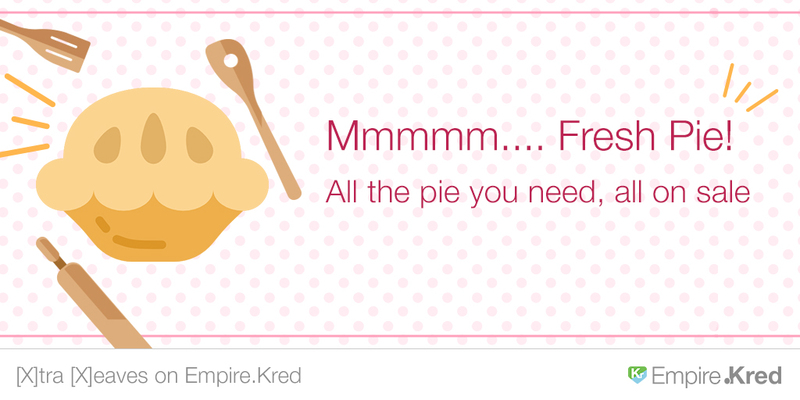 You can't have [X]PendaPalooza without [X]tra pie! It's waiting for you in the shop. New pies, pies on sale, and more pie available for eaves in the main shop. 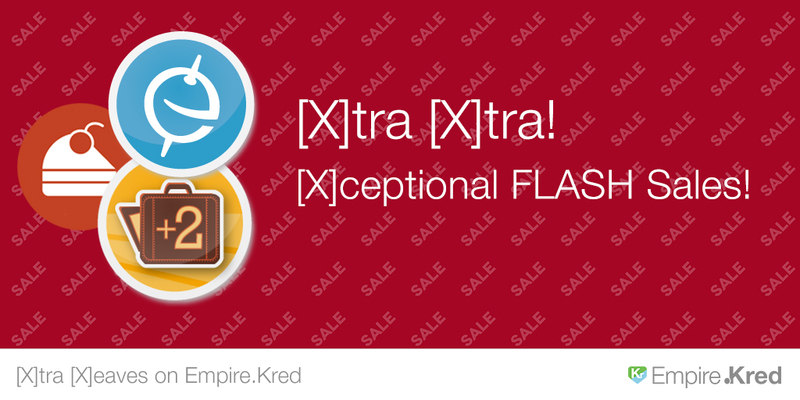 Sir Rudiger is in charge of sales, so be sure to check the shop frequently for flash deals!